Select the lid and the color and we can help you create a one-of-a-kind promotional tool that your customers will use and reuse. Wholesale 20 oz. transparent eco-friendly water bottles keep plastic out of landfills so you can protect the environment while your market your brand. We work straight with the factory to offer you low prices, and for an even better deal check out our overseas production. 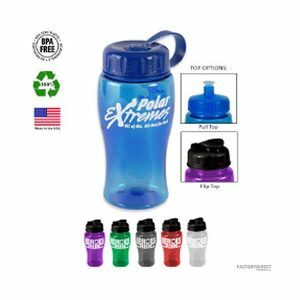 Taking advantage of our overseas capabilities allows you to further customize your reusable bottle for the perfect promotional item.